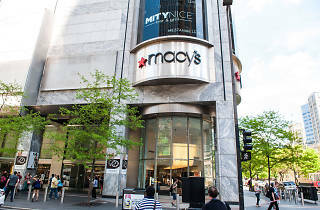 Photograph: Max HermanWater Tower Place: Big retailers, such as Macy's, have shops located within the Water Tower Place. 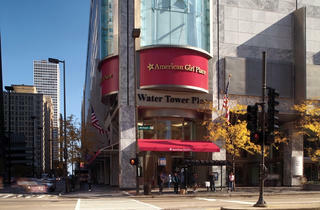 Water Tower Place: The American Girl Place moved to the Water tower Place in the fall 2008. 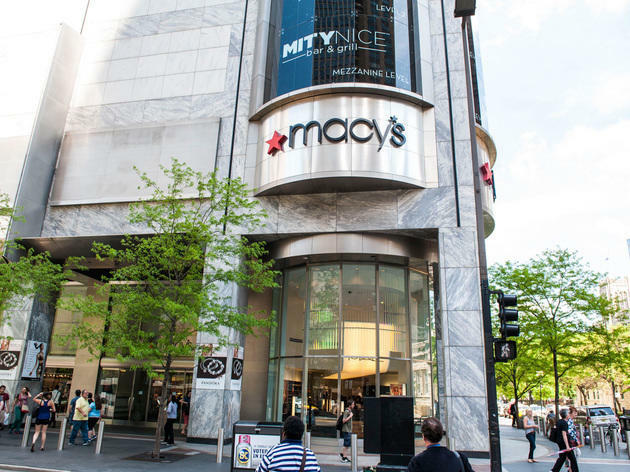 If you're downtown and looking for a place to go on a shopping spree, this Michigan Avenue mall is just the ticket. 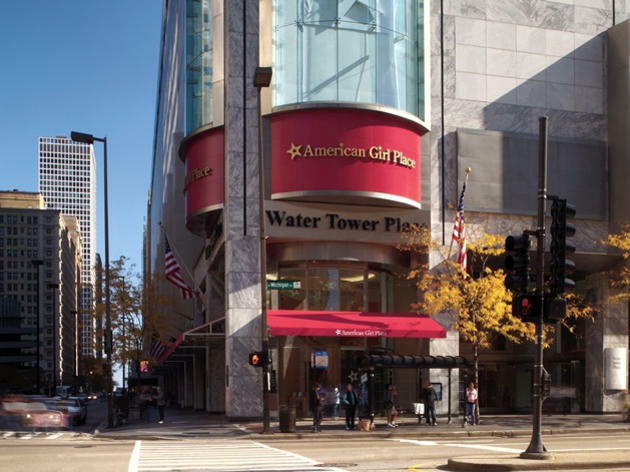 Tourists and locals flock to the seven-story complex to visit cornerstones American Girl Place and Macy's. Whether you're traveling solo or with a group, there's something to suit everyone's needs here. When it comes to quantity, Water Tower wins with its sheer number of shops. Take your pick from Vera Bradley, Sephora, the Lego Store, Free People, Eileen Fisher, Coach, Aritzia and many, many more. The mall is accessible via public transit and stays open until 9pm most nights (6pm Sundays), making it a quick retail fix for city folk and visiting families. When hunger strikes, there are plenty of tasty options inside the mall. For something quick, grab a bite at Wow Bao, Sacred Grounds, Red Mango and Garrett Popcorn. For a more leisurely lunch, seek out M Burger, Mity Nice Grill and Foodlife, which boasts 14 different kitchens with options for breakfast, lunch and dinner. Our Chicago editorial team is constantly updating and reviewing the best attractions, activities and venues across the city, so that you're always in the know, with the best of Chicago at your fingertips. Chicago was most recently updated with new tips on June 28, 2017. It can be a bit of a zoo here, especially during the holiday season, but the mall really has everything that you could ask for. With its central location near all of the other great chain stores, its a great spot to hit up for any christmas shopping you have to do (just plan accordingly). Plus I love their food court, they have something for everyone!